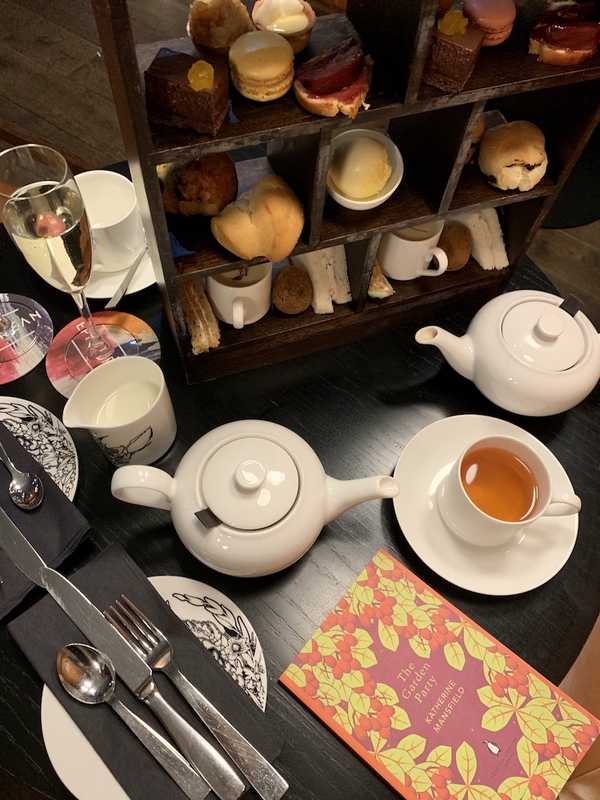 On my third day in Edinburgh, I was headed for my third afternoon tea. I wasn’t planning on having one every day… but I was in the birth country of afternoon tea, so I guess it had to happen. 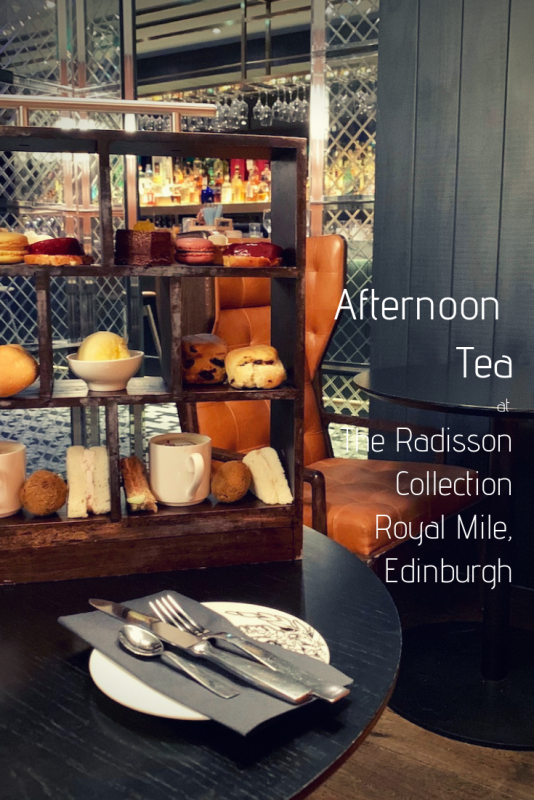 After a morning of walking around the city, I came back to the hotel I was staying at, the Radisson Collection Royal Mile for afternoon tea. If you’re visiting Edinburgh, chances are you’ll head to the Royal Mile first or at least a few times during your visit. Or, you can choose to stay right on the Royal Mile at the Radisson Collection Royal Mile. I stayed there for a weekend and had access to many of Edinburgh’s top attractions, all within walking distance. 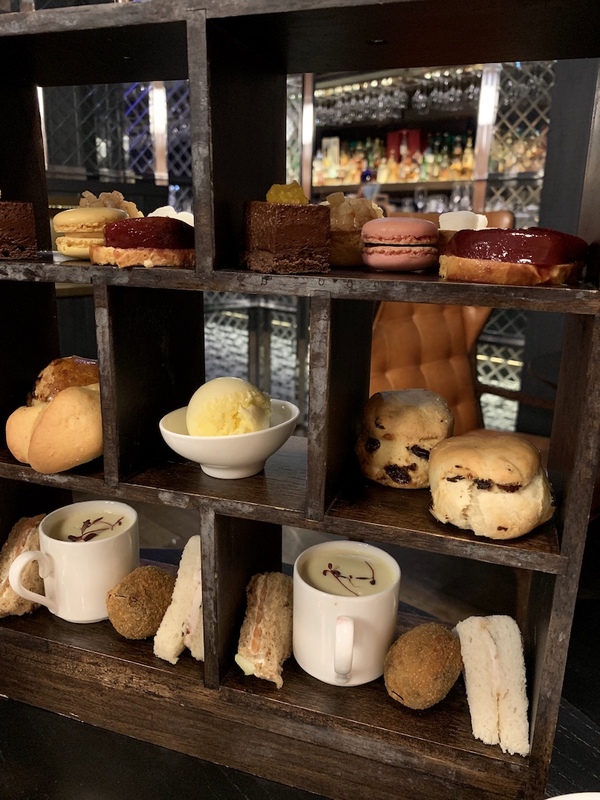 Afternoon tea at the Radisson Collection Royal Mile is served at their bar, Epicurean on the first floor of the hotel. Right upon entering the hotel’s front doors, walk straight inside and you’ll find the doors of Epicurean. It was a Sunday afternoon and there were many other tables with groups of afternoon tea goers. 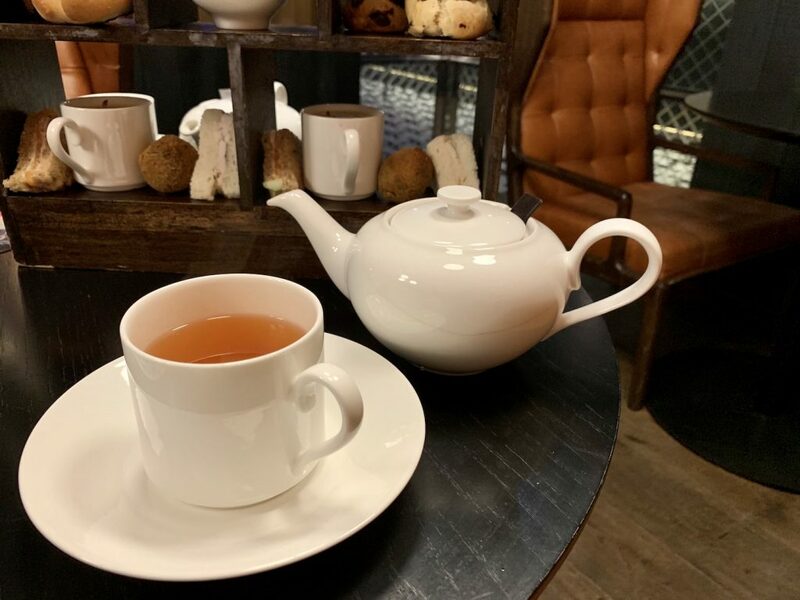 You’ll find a selection of Damman Freres teas served at the Radisson Collection Royal Mile. I went with an earl grey. 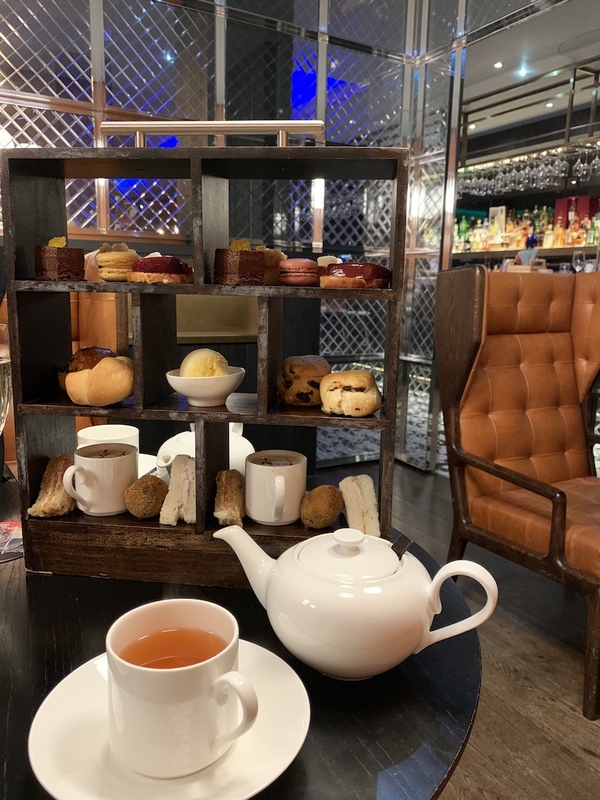 You have a choice of a traditional afternoon tea with or without a cocktail. I love the Scottish touches. 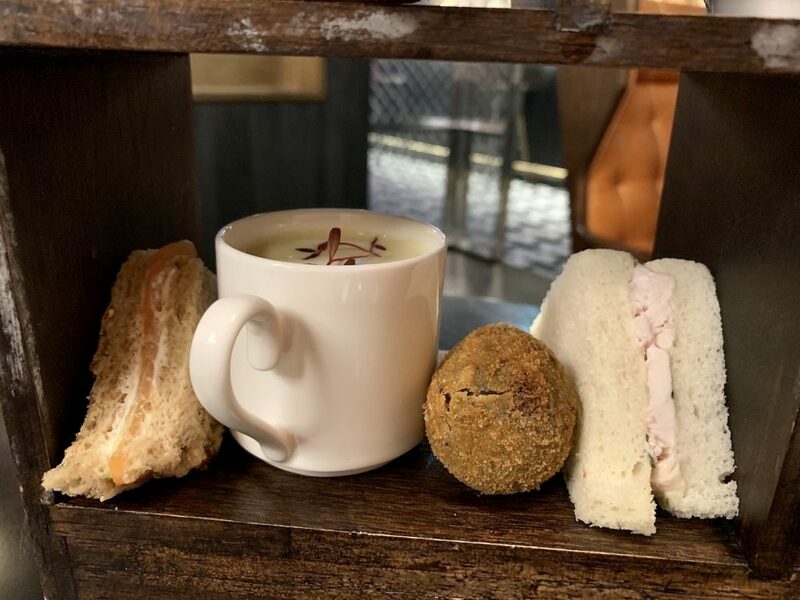 On the menu was a haggis scotch egg, mini cullen skink soup (Scottish haddock, potato and onion soup), Scottish smoked salmon and creme fraiche sandwich and chicken tarragon mayonnaise sandwich. On the top level was chocolate and passion fruit mousse cake, a lemon sponge and meringue, plums on a brioche, a custard, apples and pear tart and a macaron. 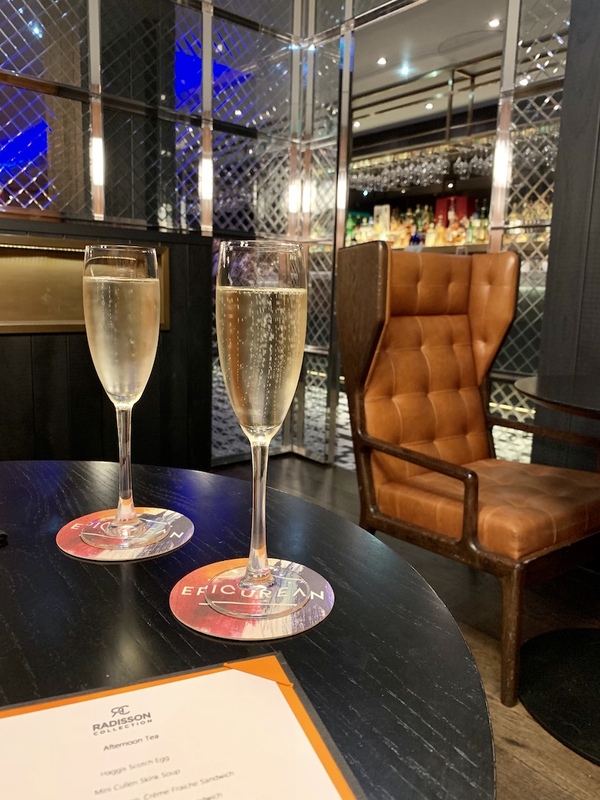 I’m all about traditional afternoon teas… but I like when a venue does something a little different. 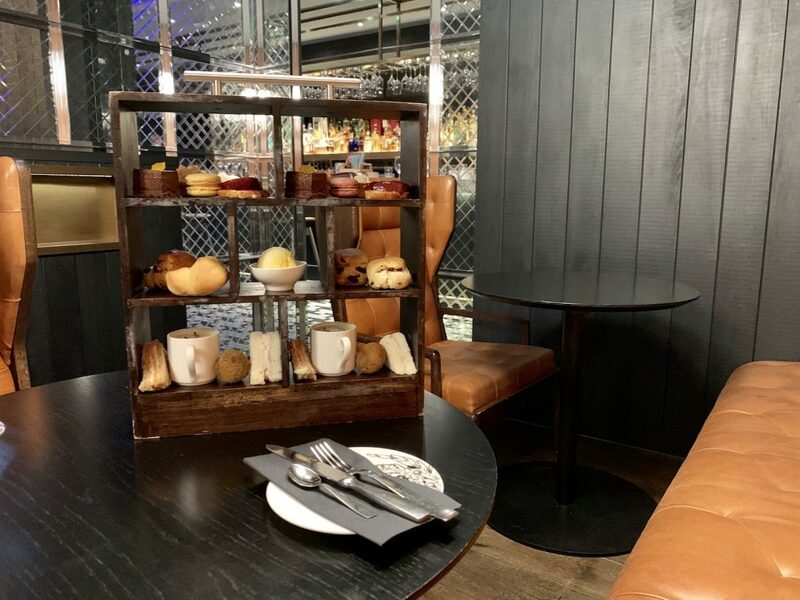 At the Radisson Collection Royal Mile, food is brought out on a three tiered wooden square box, with sections for each portion. Service was fast and efficient. Everyone was friendly. No complaints. Free WiFi is available through the hotel’s network. As a guest, I was already connected to the WiFi at Epicurean bar. The Radisson Collection Royal Mile is on Facebook, Twitter and Instagram. Follow them on Instagram for frequent pictures of Edinburgh and around the hotel. 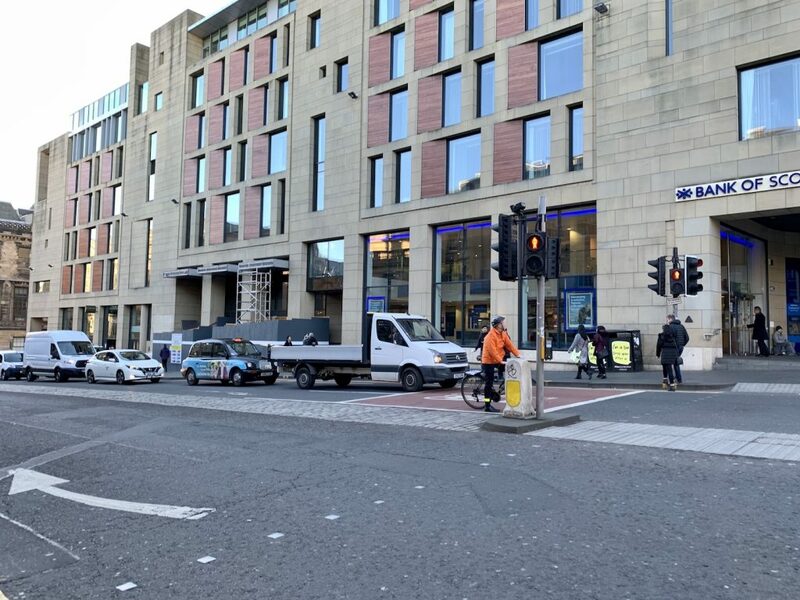 I find Edinburgh to be one of the most pedestrian friendly cities. I walked a ton while in Edinburgh and some time in the middle of the day, I found I needed to take a break and sit. 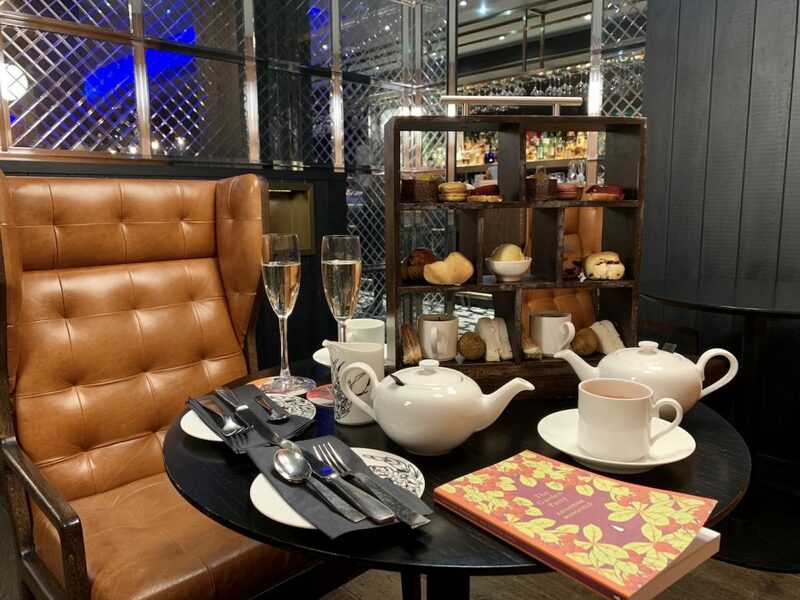 There’s no better place to take a rest than somewhere for afternoon tea. 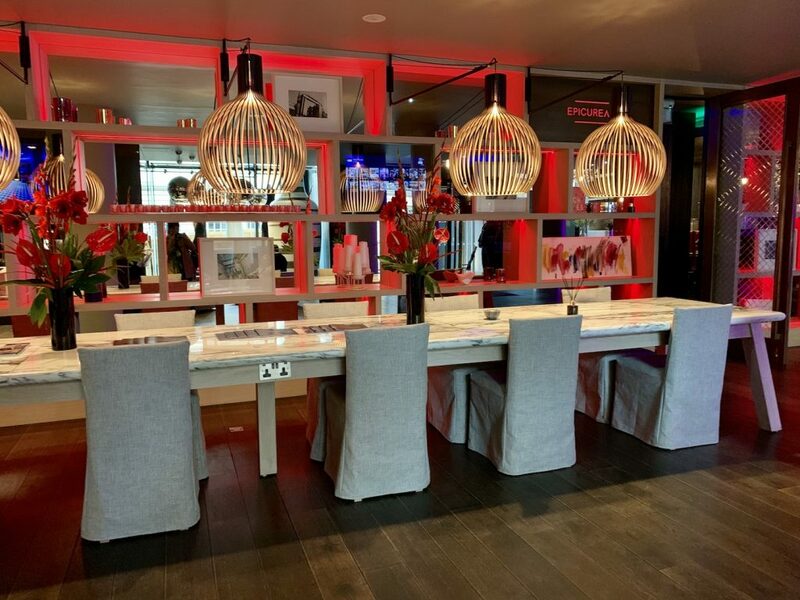 If you’re close to the Royal Mile when you need a break from exploring, check out the Radisson Collection Royal Mile. 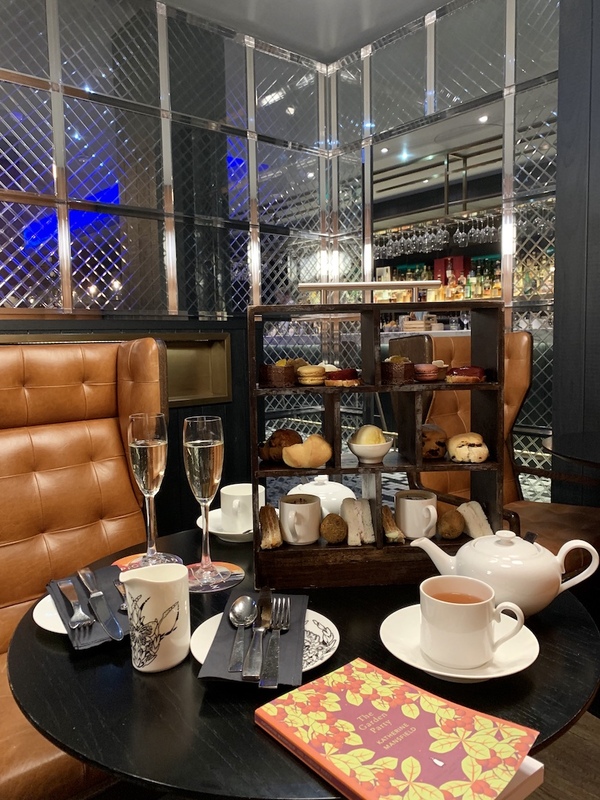 Note: A big thank you to The Radisson Colletion Royal Mile Edinburgh for providing the afternoon tea for this review. As always, all views and opinions are my own.